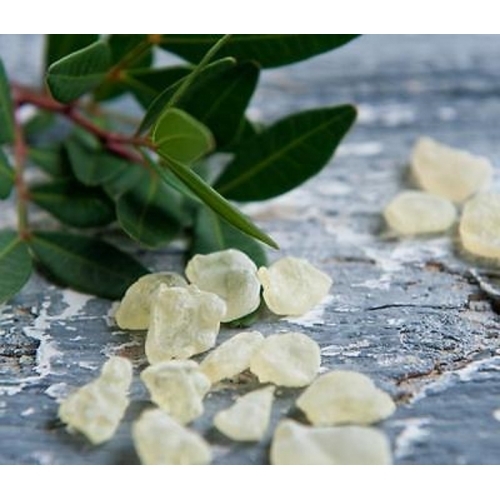 Greek Mastic Gum. Large. 20gm. Home > Greek Mastic Gum. Large. 20gm. A 100% natural product. 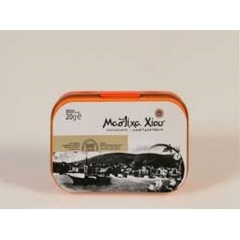 It is collected in raw form from the tears(raisin) of the mastic-tree, on the island of Chios in the so-called Mastic Villages. It has medicinal, culinary, pharamaceutical and industrial applications. Chios mastiha is a unique product with many beneficial qualities and wide- ranging uses since antiquity. Nowadays, it is used in pharmaceuticals, perfumes, cosmetics, beverages, bakery goods, sweets as well as in cooking. Chios mastiha is the natural resin of pistacia lentiscus var. Chia, a tree which grows only on the aegean island of chios, greece. Scientific research shows that chios mastiha has anti- microbial, anti-inflammatory, and healing activity. Also, it has beneficial effects on both body hygiene and skin care. This product is unique in the world, because mastiha-yielding trees flourish only in a specific region of the island, the so-called mastiha villages. Chios mastiha has been identified as pdo (protected designation of origin) in order to protect its unique place of origin. It is used in cooking, confectionery, beverage making, pharmaceutics and cosmetology.